I took a road trip down to Baker City yesterday afternoon. I took the long way because it looked like the more scenic route. 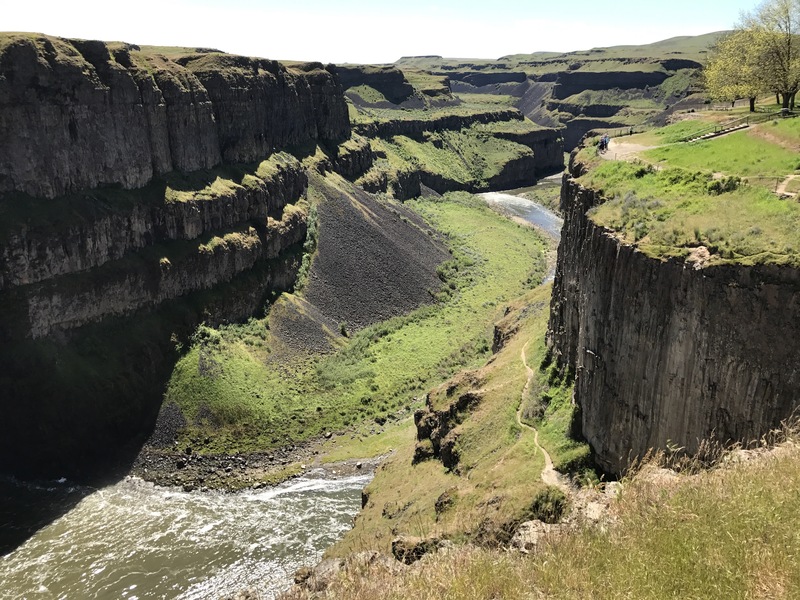 I generally want to get from A to B as quickly as possible but the spring Palouse drew me in. I knew I had been on the road before but it would have been years ago in my college days. 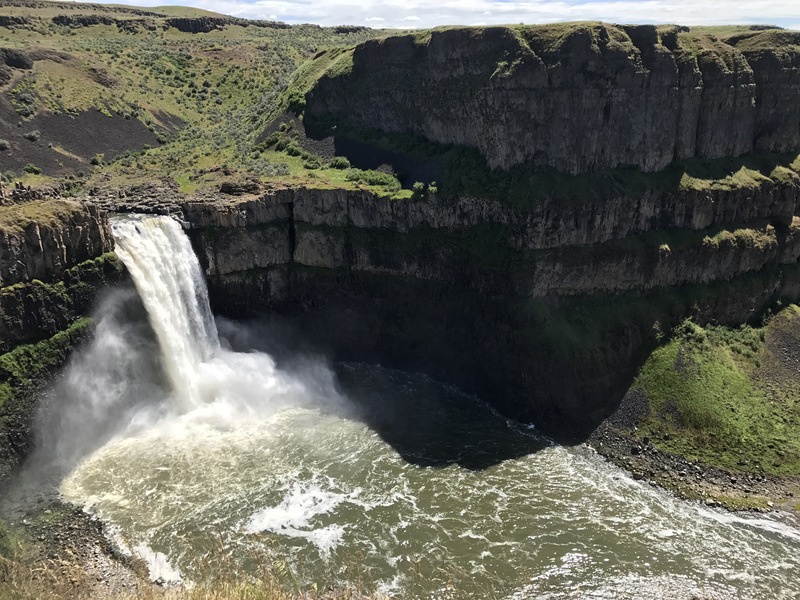 I saw a sign for the Palouse Falls and impulsively extended the trip slightly more. It was worth the 4 mile detour! The Falls were roaring with the spring runoff. It was also the warmest weather I have seen since last September! Like being transported into a future/past summer.